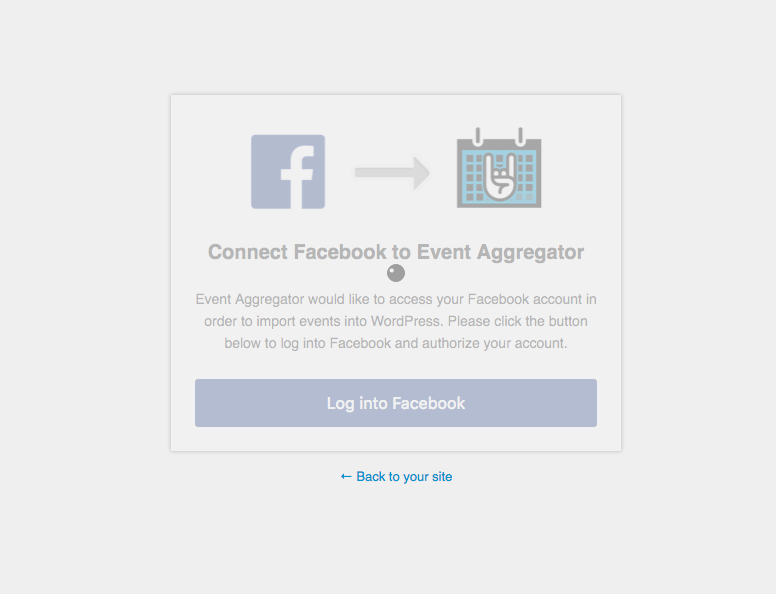 I have a message saying my Event AGgregator Facebook token has expired. On The settings page under Facebook Token, it says I need to connect to Facebook for Event Aggregator to work properly. However, when I click the blue “Connect to Facebook” button, it opens a new page and spins indefinitely. Please help! I’m having the same issue. I thought it was a key issue, so I bought a key and it says that it is not a valid key. I’ve ran a test and disconnected the Facebook Token from my own local install and reconnected again: everything is working as expected, I couldn’t reproduce the issue you are experiencing from here. To get started, could you please make sure that you are not trying to connect to Facebook while having a Privacy Badger extension enabled in your browser? Also, could you please let us know what happens when you try to connect to Facebook using an incognito window? You are welcome 🙂 I’m glad to hear that everything is working as expected now! If you need an assistance again or have other concerns, please feel free to open up a new thread, we’ll be more than happy to help you!